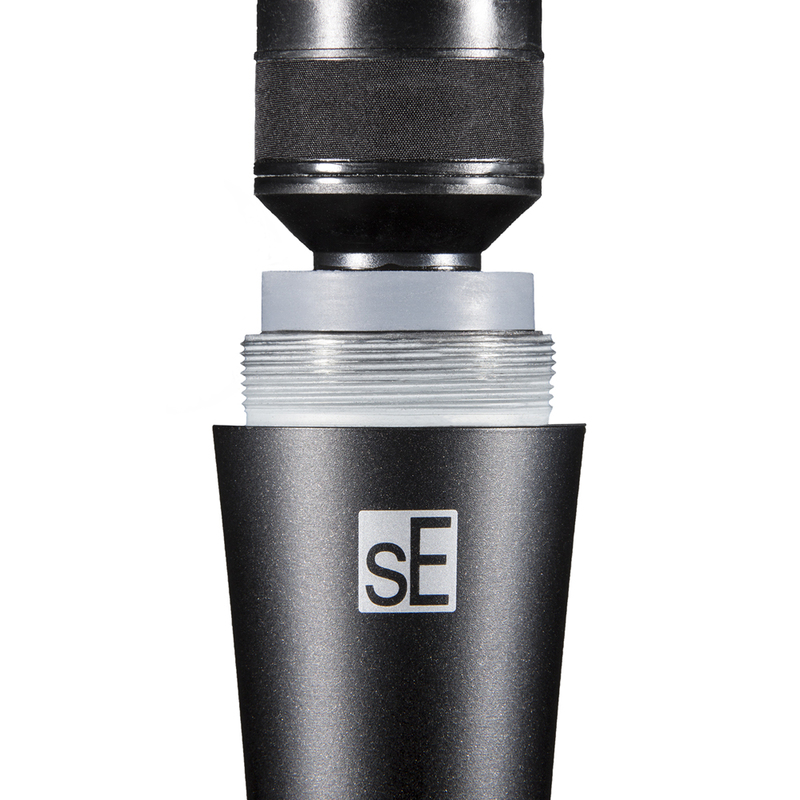 The sE Electronics V3 is a rugged dynamic microphone workhorse fit for absolutely any voice or instrument. 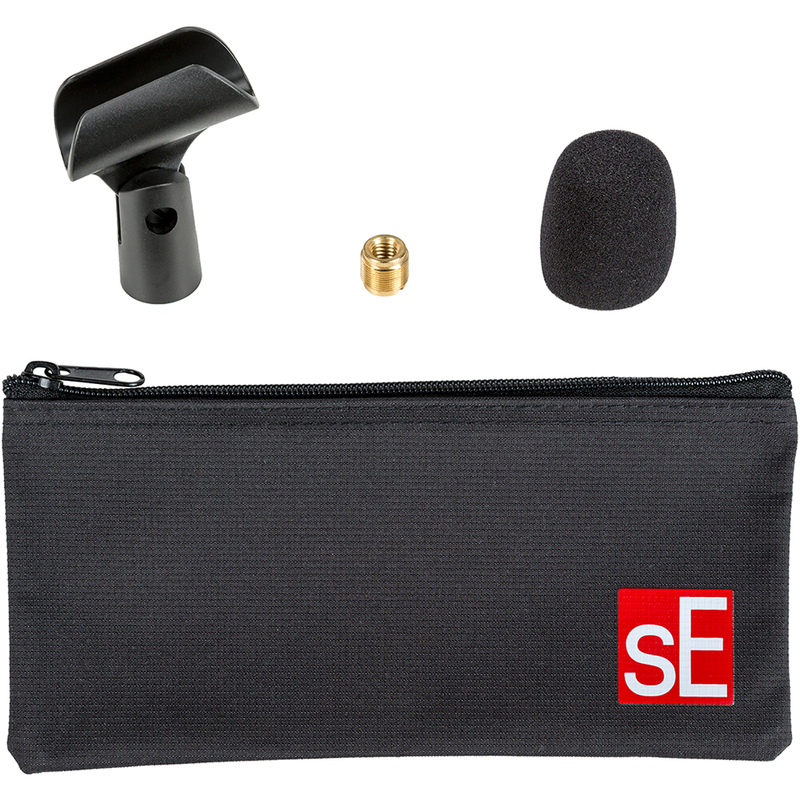 Brilliant, reliable sound meets outstanding build quality. 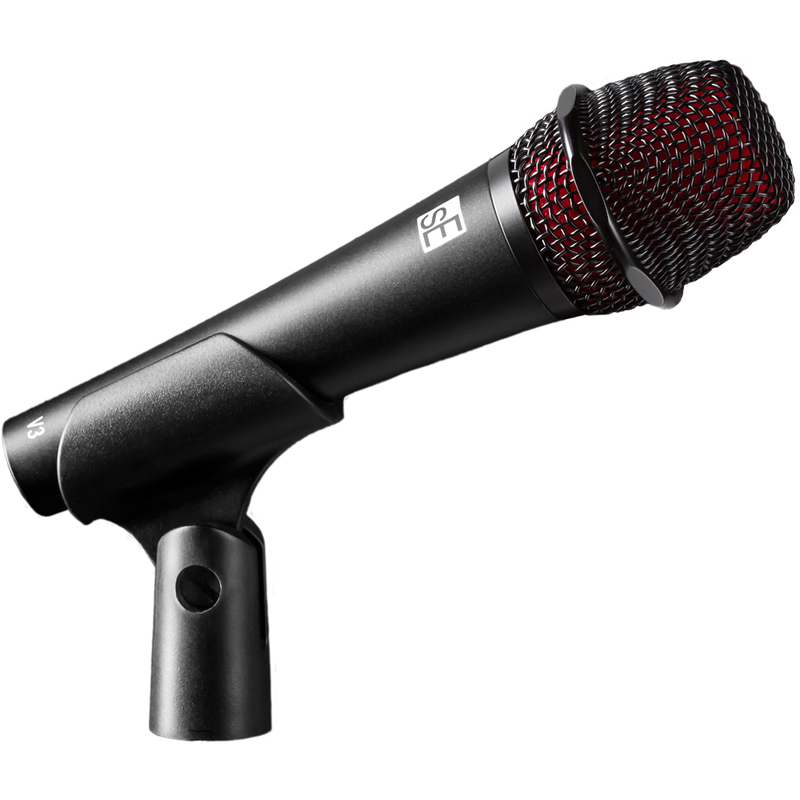 For many years, we've had live sound engineers utilizing our studio microphones and Reflexion Filters® on stages all over the world with acts like Linkin Park, Tom Petty & The Heartbreakers, Black Sabbath, Billy Idol, Paramore, My Morning Jacket, and many, many more. 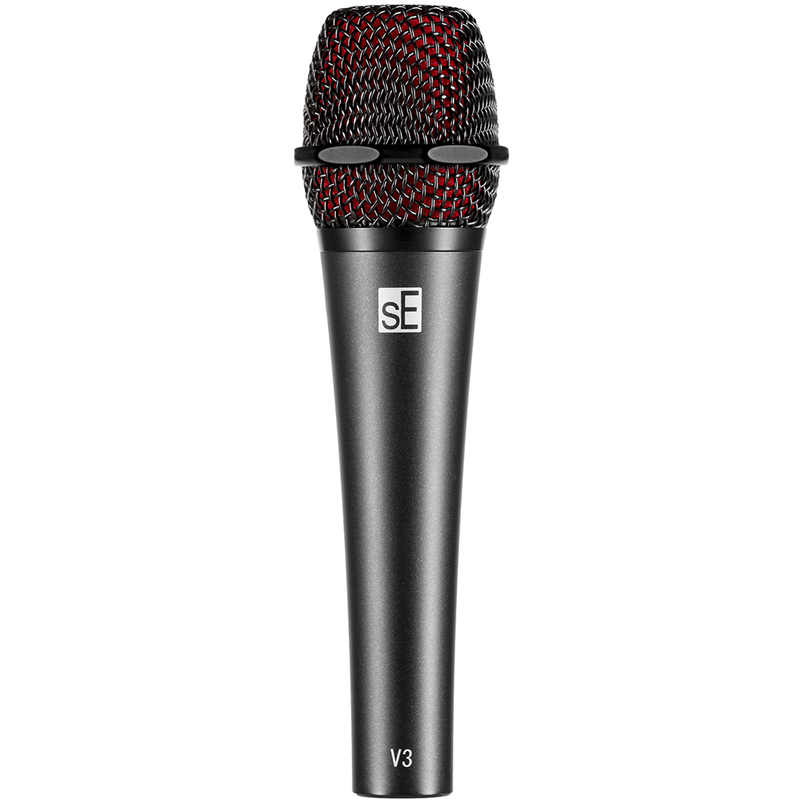 With vast knowledge gained through working with countless engineers and bands, we have finally entered into the world of dynamic mics with the V Series - built to withstand rigorous touring schedules, while still performing better than anything else in their class. 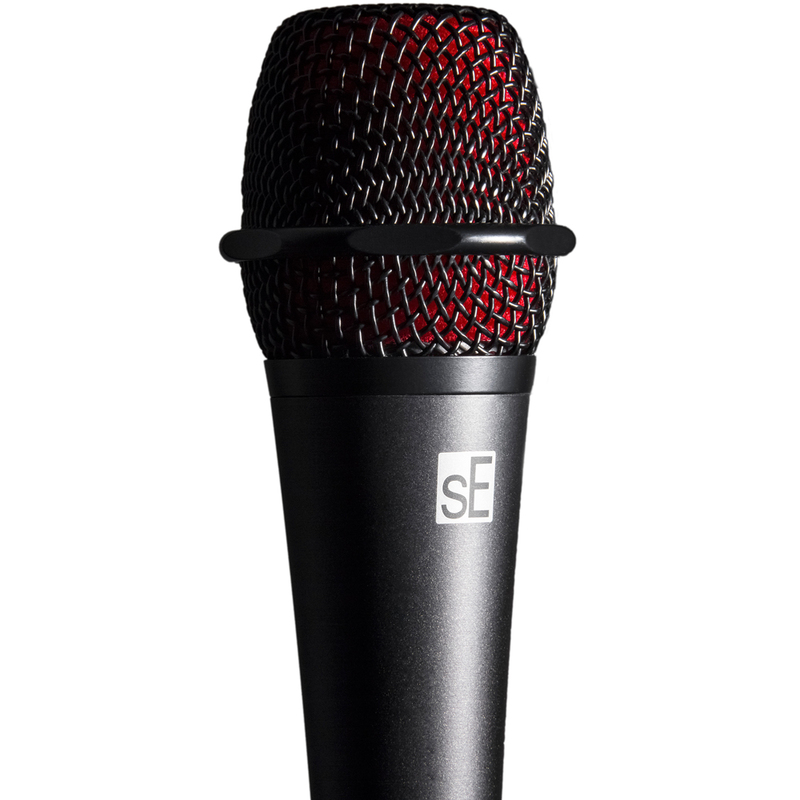 The dynamic element in the V3 has been custom-developed for a smooth, natural sound on any voice or instrument - and its cardioid capsule design helps efficiently isolate your voice from other on-stage sounds, ensuring plenty of gain before feedback. Proven Neodymium magnets, tight production tolerances & high-end workmanship ensure excellent sensitivity, superior sound quality and superb consistency.